The Coastal Discovery Museum will host Nicholas Wallover, the Regional Biologist for the ACE Basin National Estuarine Research Reserve on February 7 at 3 p.m. for this program about our shorebirds. 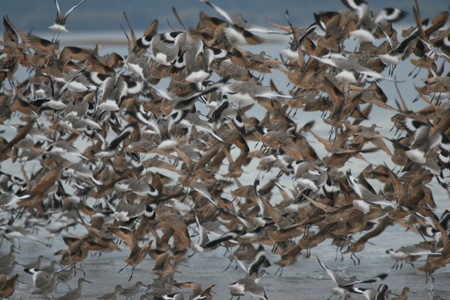 Every spring, thousands of shorebirds utilize South Carolina’s beach and marsh habitats. These habitats provide critical stopover areas for birds on their northbound migration to breeding sites, while others will nest in these beautiful coastal landscapes of South Carolina. Come learn about the important role SC plays in the lifecycle of spring migrants and local nesting species, and what we can do to protect this incredible part of our state’s natural heritage. Cost is $7 per person and reservations are required by calling 843-689-6767 ext. 223. The Museum is located at 70 Honey Horn Dr. coastaldiscovery.org.